William Barrington-Browne was the son of the pastel artist, H. Nedeham-Browne and was educated at Repton and Pembroke College. He studied art in Venice adn at Julian's in Paris. 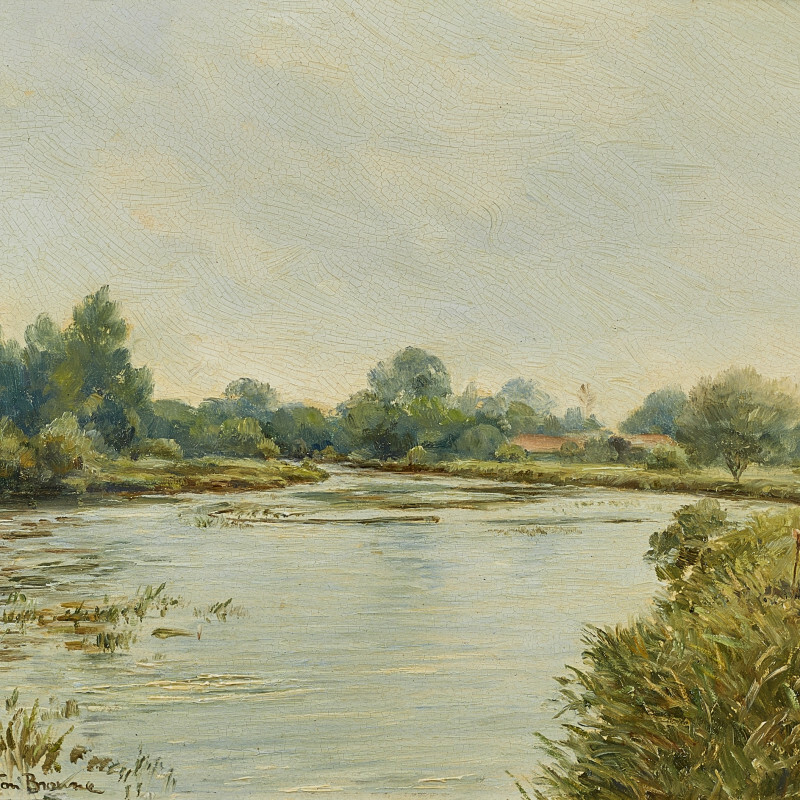 For ten years, Barrington-Browne was Art Master at Cheltenham and his subjects are usually stalking or fishing scenes and studies of deer. He first exhibited in 1966 at the Tryon Gallery.